Home / Tamil Cinema News / 2.0 in Tamilrockers: Do you know the technology used by the Tamil film Release? The massive production of the 2.0 film first day shocked the crew of the release of the Tamil rockers before the two shows. How are they laughing as possible?In the direction of the great director Shankar, Rajinikanth, Akshay Kumar and Amy Jackson are producing the movie 2.0. The film is produced in 3D technology and is produced by Leica Company. Also, AR Rahman has composed the film. 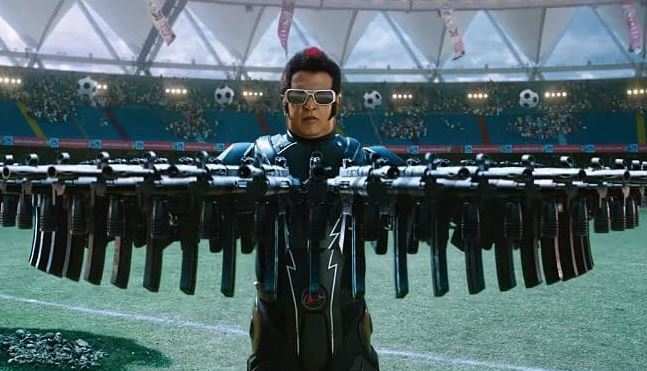 The film has been released worldwide since yesterday.The Chennai High Court ordered 3,000 websites to be blocked to prevent 2.0 photographs from being posted on websites.In addition to that 2.0 film yesterday, the film was released and the screen was completely shocked at the end of the two scenes.